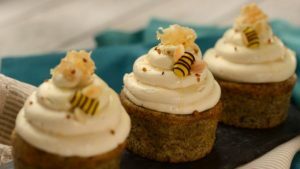 Menu Mania: Buzz-Worthy Teacakes, Colorful Kevin Cupcakes, and So Many More Changes! New Cupcakes, Teacakes, Spring Rolls, Salads, Sandwiches and more! Get caught up with all of the Disney World menu updates here! Looking for something fun to do after work at Disney Springs? How do bowling, pizza, and drinks sound? Well, Splitsville Luxury Lanes at Disney Springs has just announced a new Cast Member Special! Read on to learn more about when and where to experience it for yourself. Disney Springs at Walt Disney World is one place I very rarely bring a tripod to at night. Mainly because there is often a restaurant reservation with family or friends involved and I like to give them a break. That does not mean my camera is left behind. With today’s digital SLR or mirrorless cameras, … Continue reading "No Tripod Night Photography at Disney Springs"
As of today, May 1, Disney Springs is offering a new way for guests age 21 and older to discover bourbon-inspired beverages and food pairings. Restaurants and other venues around Disney Springs have paired a special bourbon drink with a delicious dish. The map below shows the various locations. Whether you’re a bourbon aficionado, or … Continue reading "Discover Bourbon at Disney Springs"
by David Abel AllEars® Guest Blogger Back in February, Disney Vacation Club announced “Member Magic,” featuring a collection of discounts and events especially for Vacation Club members. One of the new events featured is Member Night at Splitsville Luxury Lanesâ„¢ at Downtown Disney. My traveling party during the Flower & Garden festival opted to experience … Continue reading "Disney Vacation Club Member Magic at Splitsville"
Splitsville all lit up at night in Downtown Disney Westside.Nikon D700/50mm, 1/50s, f/5.6, ISO 6400, EV 0. Downtown Disney’s West Side is more of an adult nighclub experience with restaurants such as Bongos, House of Blues and Wolfgang Puck’s at night. There is still plenty of family entertainment with Cirque du Soleil – La Nouba, … Continue reading "Bowling at Downtown Disney"
there are plenty of places to catch the game on television screens at Walt Disney World. Probably the first one that comes to mind for many folks is the ESPN Club on the Boardwalk because of its sports theme, 100 television screens, and traditional "game day" food. Consequently, the ESPN Club fills up early -- folks have been known to arrive hours early to secure a spot. The restaurant does take reservations, which many guests don&apos;t know, a cast member told me. So, call 407-WDW-DINE to check if there&apos;s a spot for you. 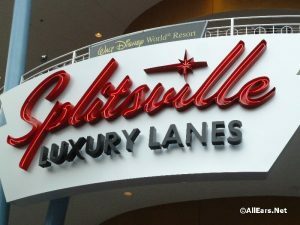 I started my day at Splitsville Luxury Lanes at Downtown Disney West Side. I was expected to bowl at a charity event for Give Kids the World. I say “expected” because I haven’t bowled seriously for many, many years, so I was a bit nervous. 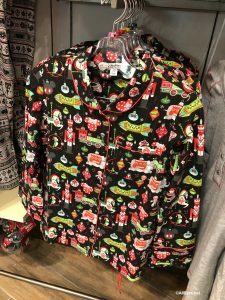 I didn’t need to be; the event was a blast, … Continue reading "Checking out Hidden Mickeys at Splitsville and the Magic Kingdom"